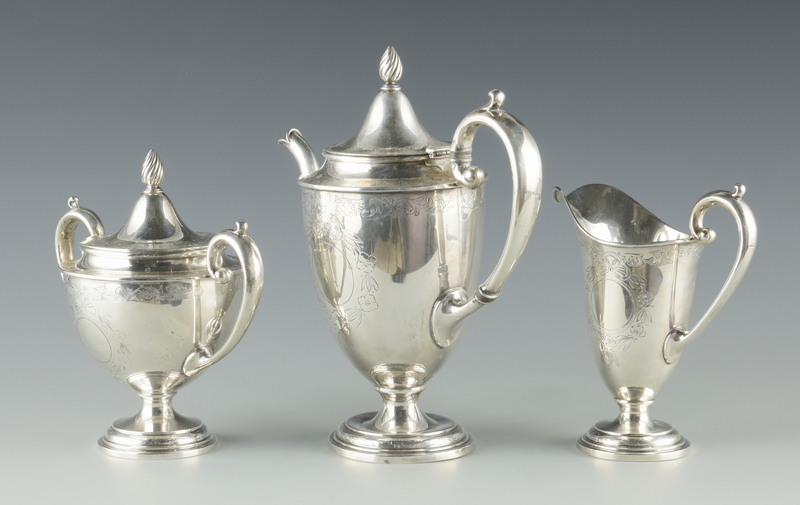 Lot 927: Meriden Sterling Tea Set, 3 pcs. 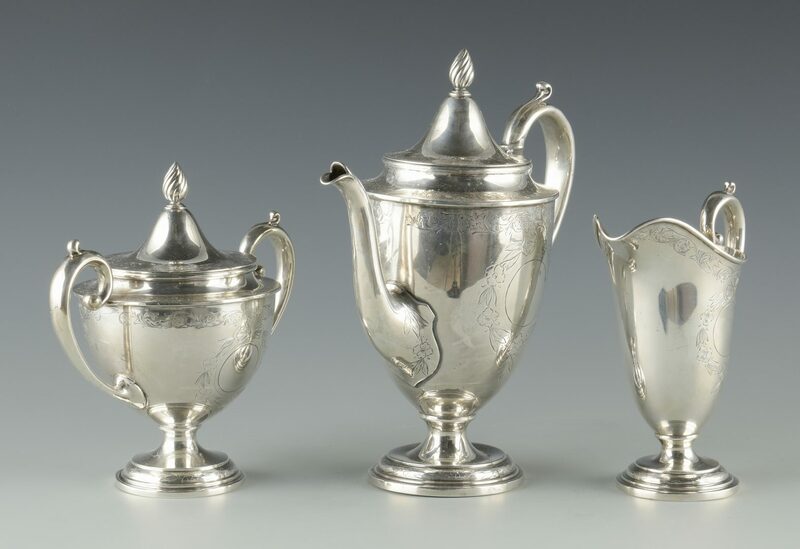 You are here: Home >> 2017 01 21 Auction - Knoxville, TN >> Lot 927: Meriden Sterling Tea Set, 3 pcs. 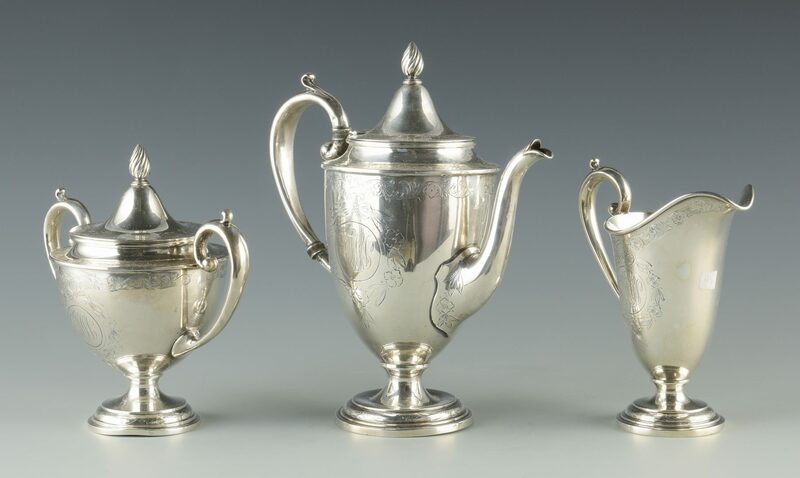 Meriden Brittania Co. 3-piece sterling silver demitasse or bachelor's tea service including tea pot with wooden ferrules and flame finial, 2-handled coverd sugar with flame finial and cream pitcher, footed bases, monogrammed central cartouche and incised floral and swag decoration. Bases with maker's mark, Sterling, 776. Tea pot – 9 3/4" H, covered sugar – 7 1/2" H, creamer – 6 1/2" H. 32.08 total oz troy. Script monogram. Circa 1930. Provenance: Private Knoxville, TN collection. CONDITION: Possible repair to handle of teapot. 4 to 5 minor dents overall. Each with script monogram.